But six years ago, her parents had a chance grocery store encounter with Mike Beaudoin, who worked as the operations manager for the Theodore Roosevelt Medora Foundation in Medora. 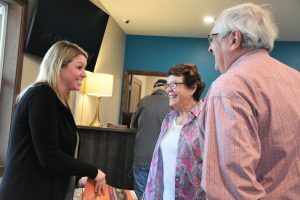 He asked if Joslyn was looking to move closer to home, knowing she’d be an asset to the hospitality team in North Dakota’s top tourism destination. “At the time North Dakota was booming, and I thought maybe it was the right time to come home to North Dakota and find something there,” recalls Joslyn. A full-time opening in Medora’s Group and Event Sales office was the perfect fit for Joslyn. Joslyn was no stranger to working in Medora—she had been employed by the Theodore Roosevelt National Park’s Medora entrance during her college years. 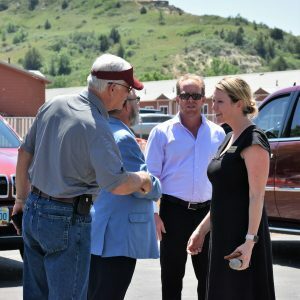 Now instead of simply greeting guests and helping them purchase national park passes, Joslyn was tasked with coordinating groups coming to Medora for family reunions, bus tours, major conventions, and weddings. Joslyn not only loved the job, but she loved the idea of working in Medora, where she had strong family ties. She’s part of the Tescher family, known for their deep rodeo roots in the Medora area. Her great uncle was even the mayor of Medora in 1939. 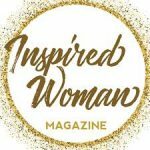 So, when she became engaged, and her fiance, TJ Tooz, was relocating his business in Bismarck, she was keen to find a way to continue working for a place she loved. 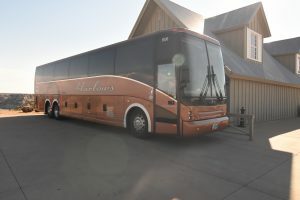 For a while, she commuted back and forth, splitting her time between TRMF’s Bismarck and Medora offices. 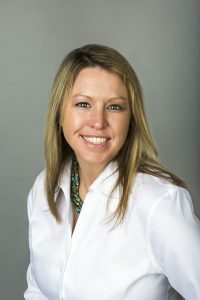 Then last summer, after being with TRMF for six years, TRMF President Randy Hatzenbuhler approached Joslyn about moving to the development team, a transition Joslyn has loved. Joslyn recognizes the ways she has grown during her years and roles in Medora. And though she never dreamed she’d be working in a fundraising role, she finds it to be a natural fit.